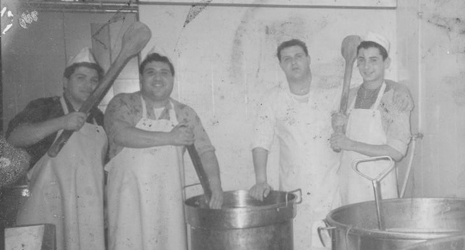 Our firm named Caseificio Raimo Liberata & Figli was born in 1989, but the dairy art, in other words: the conversion of milk in his derivatives, existed in the family since 1940s and it has been handed down to the three brothers Giosue', Enzo and Amodio by their ancestors. Castellammare di Stabia has always been an important centre of dairy industry and the Caseificio Raimo Liberata & Figli power is able to satisfy the needs of the most refined palates. The production laboratory and the shop offer a big selection of traditional milk products and the last gastronomic news: the Stabiae cheese created mixing modern and classic reaching a perfect tasty harmony.